Apex Horse Betting is oriented to help you improve your knowledge, of how to bet on horses. 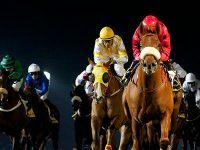 Find betting tips, latest horses betting Odds, game previews, and betting news. What Do the Wagers Mean? 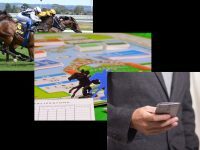 As long as there has been horse racing, there has been betting on it, and there are many bets that you can make on the track. Concerning the amount of bets horse racing has some of the most with no lack of options for every single race. 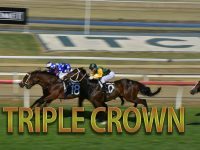 From picking a winner to a trifecta the bets and payouts are different and here are some of the basics when betting on horses. When you do bet on horse racing online, you want to search for the best possible odds, as by doing this if you bet is a winner you get the maximum payout. Shop around at different sportsbooks at the race or races you want to wager on and while the odds will not change much the better they are, the better your payout can be. The straight wagers in horse racing are the most popular and also the easiest to understand. The straight bets are win, place, and show. In win, you are betting on the winner of the race. For "place," you are betting if a horse will finish in the top two. With a "show" bet, you are betting if a horse finishes in the top three. There will be different odds on every horse in the race from the lowest payout for the favorite with the best odds and the biggest payout for the longshot with the highest odds. In the place and show bets, the payout is the same no matter where the horse finishes. So, for example, if you make a show bet and the horse finishes first the payout is the same as they finished third. A couple of the more popular combination bets is the across the board and the win/place, place/show bets. The across the board bet is also called the win/place/show, and in this bet, you are betting on horse to win, place, and show. If they win you win all three bets. If they come in 2nd, you get the payoffs for the place and show. If they come in 3rd, you get the show bet. Obviously, in the across the board bet the payout is bigger if the horse wins, but it allows you to cover yourself paying for the top three places. If you make this bet at $5 you will be paying $15 dollars considering it is three bets in one. In the win/place bet the horse has to come in first or 2nd for you to win the bet. In the place/show bet the horse has to come in 2nd or 3rd. There are several exotic single race bets that can be hard to win, but the payouts are impressive. A few of the exotic bets that you can make on horse racing are the Exacta, Quinella, Trifecta, and the Superfecta. In the Exacta bet the name says it all, as you have to pick the exact finish of the race picking the winning horse and the 2nd place one. This bet has an even bigger payout than making the win or place bet. You have to pick the two horses to finish in exactly first and 2nd and if it is vice versa the bet is not a winning one. The Quinella bet is much like the Exacta one, but you pick two horses and if they finish first or 2nd you win the bet regardless of the order they finish. This bet also has a good payout, but not as good as the Exacta yet easier to win. Betting on the Trifecta is betting on three horses to finish first, 2nd, and 3rd in that exact order. This a difficult bet to win, which is why the payout is impressive. Again, the horses have to finish in the order you pick, as if the three horses you pick to finish in the top three, but not in the order in the bet you will not win. The Superfecta takes it further with you having to pick the top four places in the race in exact order. A few other horse racing bets that you should know about are the head to head match ups, Doubles, Pick 3 Pick 4 Pick-6, and the Place Pick All. In the double bet, you have to pick the winner in two consecutive races. The Pick 3 Pick 4 Pick-6 bets are just like the double, but with more races and you can also get paid on these if you lose and no bettor in the race won the Pick 4, for example, as you would get a payout if you picked three of four winners. In the Place Pick All it is like a pick x or double bet, but the horse has to place to win, meaning finish first or 2nd. Horse racing is a great sport and a fun sport to bet on. You now understand the basic types of horse racing bets, get your wagers in and win some money at the tracks. Before you start sports betting, you need to develop a betting strategy, here at Apex Network we can help you find it. Visit our comprehensive sports betting sites for, football, basketball, baseball, hockey, nascar, tennis, golf, horses, boxing, soccer, for the highest-quality sportsbook and betting information. Get the latest football betting information, Keeping up to date in the world of football betting sites can be very tedious job, Apex Football Betting provides news, and information about betting on football. Plus a list the best online sports bookie, price per head software providers, with the hopes of you finding one that meets your expectations.